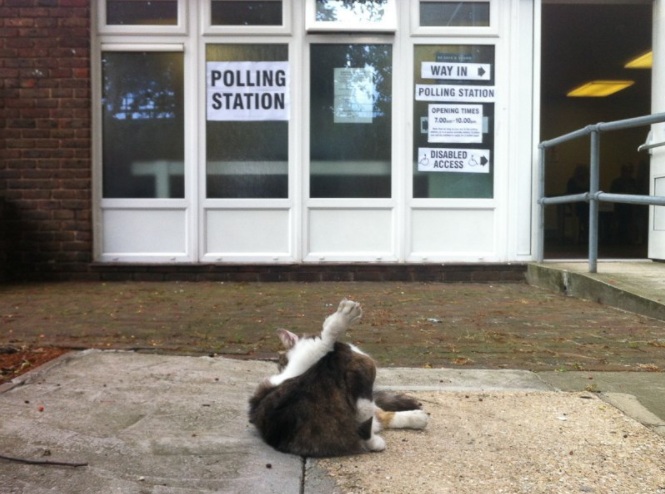 If you love pets, you will no doubt have seen the rise of dogs visiting polling stations taking over social media on voting days across the UK in recent years. 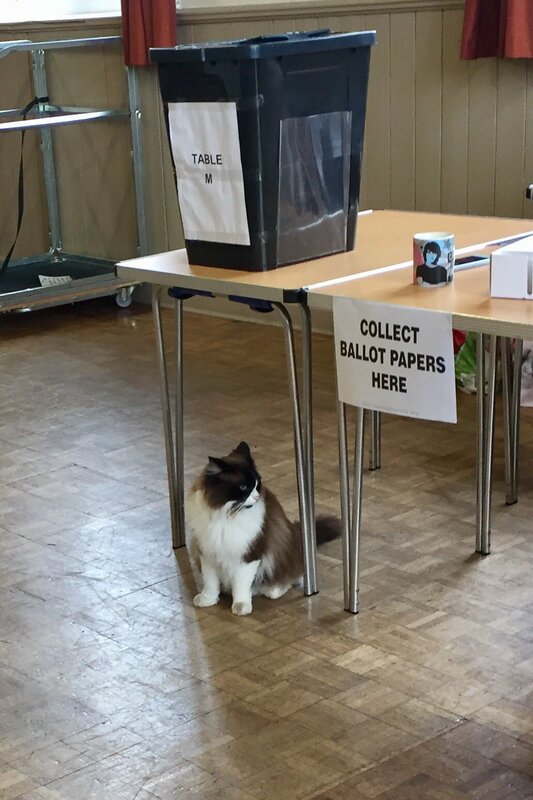 But, dogs aren’t alone – this year cats (and even some horses) are turning up at polling booths across the UK. 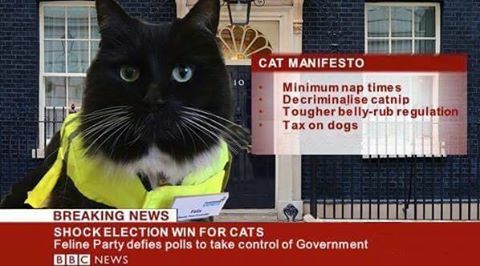 Here are some of the best we’ve found. 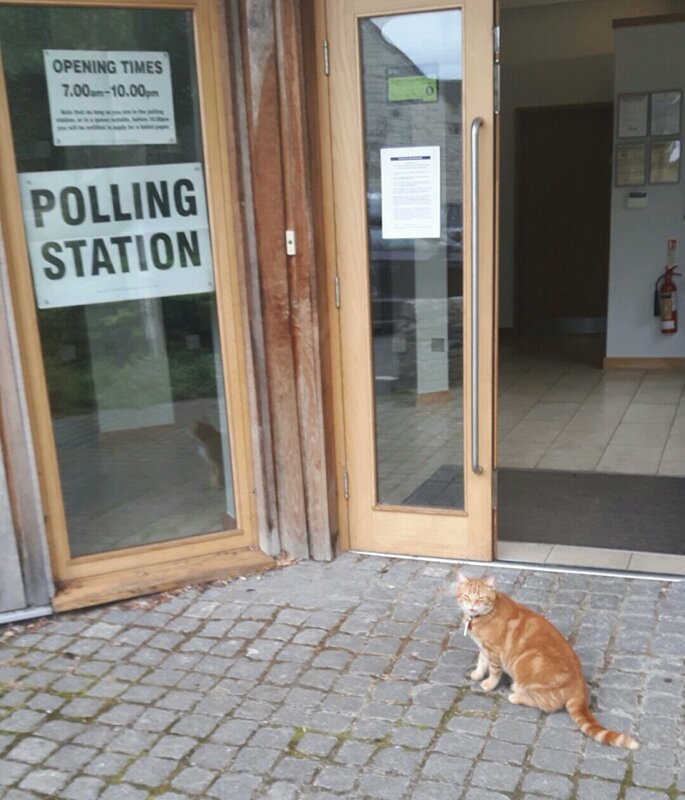 This cat got there nice and early to check the opening times. 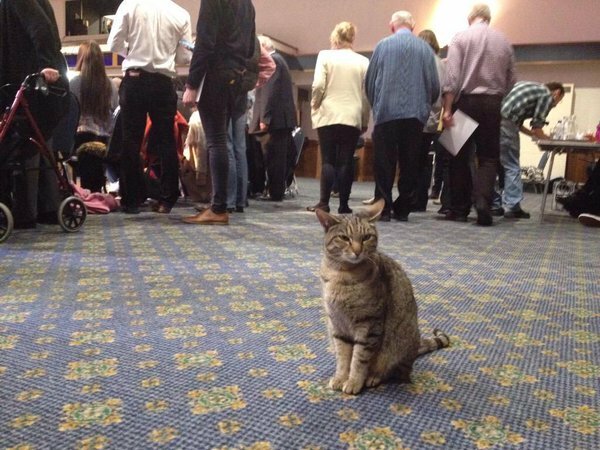 Others are there to keep order. 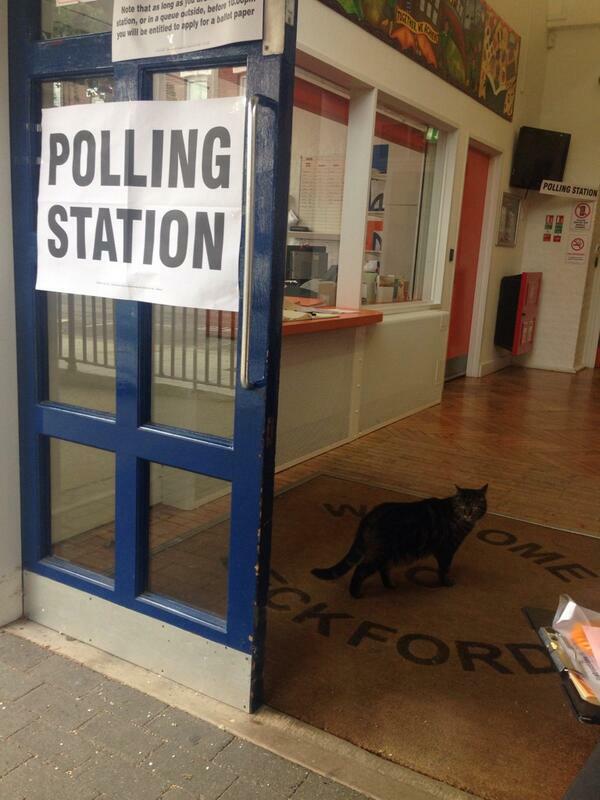 Whatever the reason, we hope cats at polling stations takes off for the next election!